Facebook team is no doubt working day-night on the privacy and security issues. This time they have come up with a unique CAPTCHA. Actually traditional CAPTCHAs are the images that we see most of the time while filling a form on web. From those images, we need to identify the letters and fill up in a box to verify that we are human not a bot. 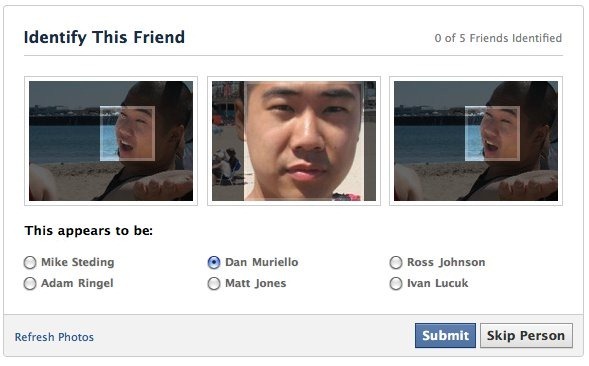 Facebook has come up with a unique CAPTCHA where your facebook friends will become a CAPTCHA image and you will have to select the correct name from the 4 – 6 names listed just below the picture of your friend. 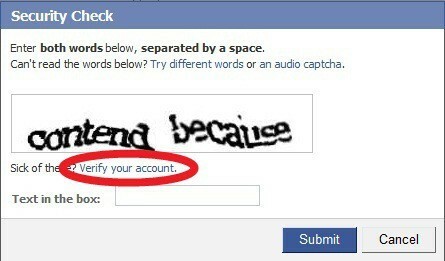 Friends as CAPTCHA is no doubt one level more secured than traditional CAPTCHAs as hackers and bots may find the letters in image but they can’t select the correct name of your friends.These are the security initiatives taken by Facebook for its 600 million users and Facebook team is testing it right now. Also one can see these CAPTCHAs when trying to send a URL in a chat or Inbox message or even by posting a URL on a friend’s wall. Facebook has also built a number of automated systems to detect spam. Whenever we know that the particular URL is spam then we add it to the blacklist and prevent it from being posted or sent. When users try to send or post the URLs then they will have to solve these CAPTCHA firstly. These CAPTCHAs which can only be solved by humans so they cannot be tracked by the Spammers. At times you will find this to be very irritating and annoying as this would delay in sending a particular link to your friend. 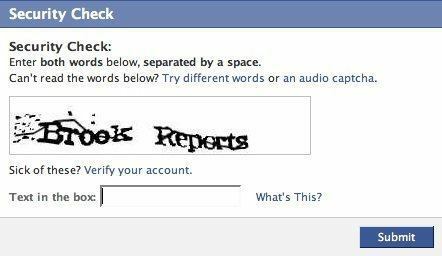 Login to your Facebook account and perform the task that causes the CAPTCHA to appear, click on “Verify your account” link that appears in the CAPTCHA box. It will open the pop up window where you want to confirm the account by entering the mobile number. 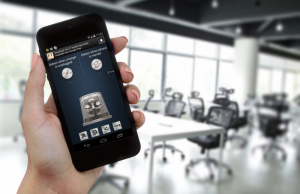 Enter all the necessary details such as Country code and number which are user defined. The particular code will be send to your mobile number . One needs to enter the code that he has received via the text message and then Confirm and save the changes. The Facebook account is confirmed and now the Security Check will be turned off.